It is always adorable for us here at Fashion Police Ng seeing celebrities, especially mothers in matching outfits with their kids. It’s a special moment. showstopping, and goes to show how strong the bond which they’re sharing. 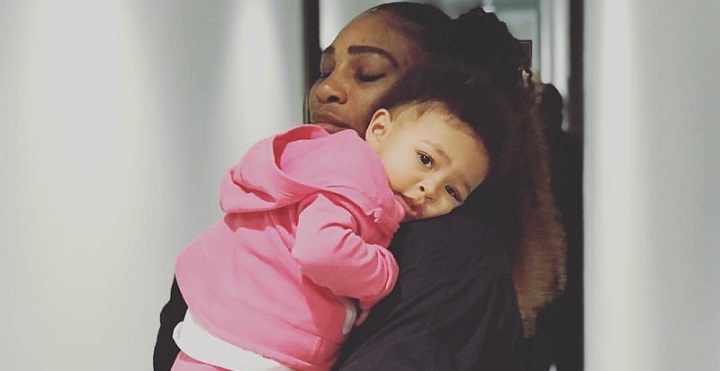 And the latest celeb demonstrating her relationship with her daughter is tennis superstar Serena Williams. 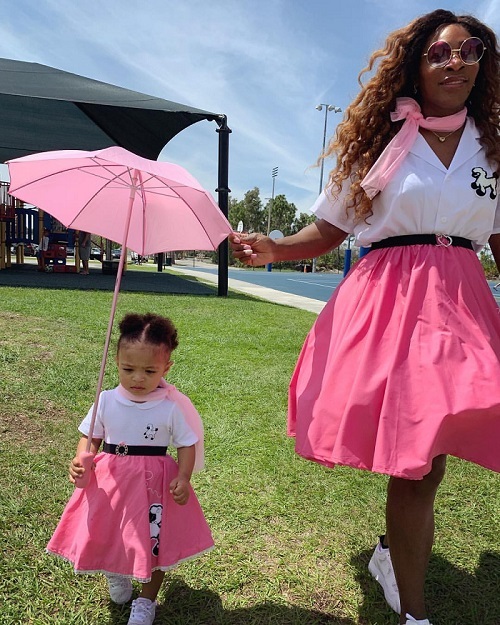 The 37-years-old tennis star stunned everyone on social media when she shared a photo of her in a slightly matching outfit with her 1-year-old only child, Alexis Olympia Ohanian Jr. The mother-daughter duo dressed up in a gorgeous pink ensemble featuring a white top, a pink midi skirt, a pair of white sneakers, while accessorized with pink scarves and rhinestone belts. While Serena’s look is seamlessly the adult version with poodle appliqués on her button-down shirt, Alexis’ look featured the designs on both the top and skirt. The little cutie also carried a pink umbrella, giving us some adorably chic moves. According to the superstar, it’s Alexis Ohanian that captured that the image himself but she left no clue where or what they were up to.